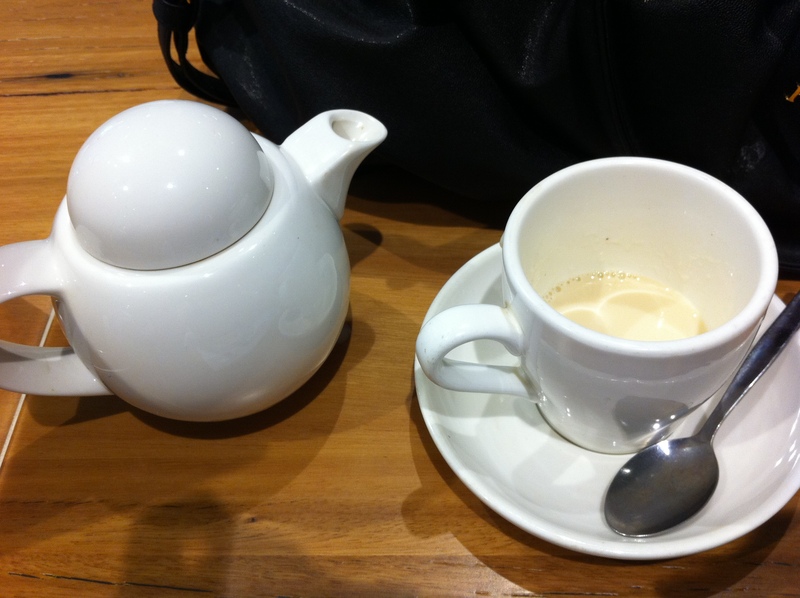 I am a regular at the three beans in the Westfield at Chatswood. They do a great tasting chai tea and it’s a nice place to sit and read your book at lunch time. I noticed that they use a number of labels on their food menu including gluten free, dairy free, vegan, vegetarian, good carbs/good sugars, no or low fat etc. There is only one gluten free item on the menu at the Westfield Chatswood cafe (I am not sure if the menu differs at the different locations) but it sounded tasty so I decided to try it one lunch time. 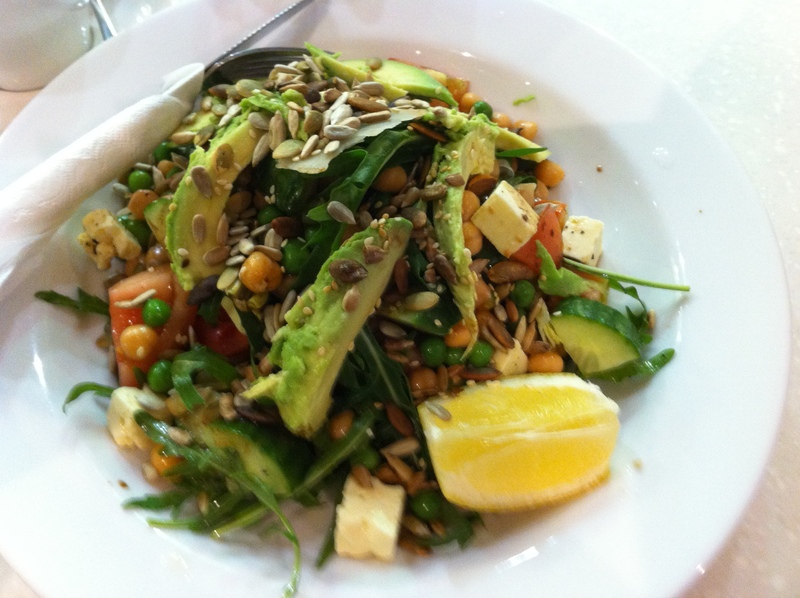 The superfood salad, which consists of chickpeas, peas, marinated feta, parsley, avocado and toasted seeds, is gluten free, has good carbs/good sugars, no or low fat and vegetarian. Many people would automatically think that it would therefore be tasteless right? Quite the opposite, the salad was very tasty and fresh with the perfect amount of balsamic dressing. The toasted seeds were a great contrast being warm and crunchy and there was a perfect amount of avocado. I would therefore highly recommend trying this salad. 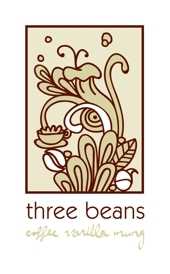 three beans have a number of cafes over Sydney including three in Chatswood (one in Eat Street, one in Westfield and the other in Chatswood Chase), one in Greenwood Plaza in North Sydney, one in Westfield Eastgardens plus many more. There used to be one in the Westfield in the city however I am not sure it is still there with the redevelopments they have been doing. Do you expect gluten/dairy/fat free meals to be tasteless? I just found your blog through the global gluten free community link! No, gluten free, vegan food is not tasteless, in fact it’s even tastier! I’ll have to keep an eye out for this cafe next time I’m at Chatswood, I’d love to see their vegan options.